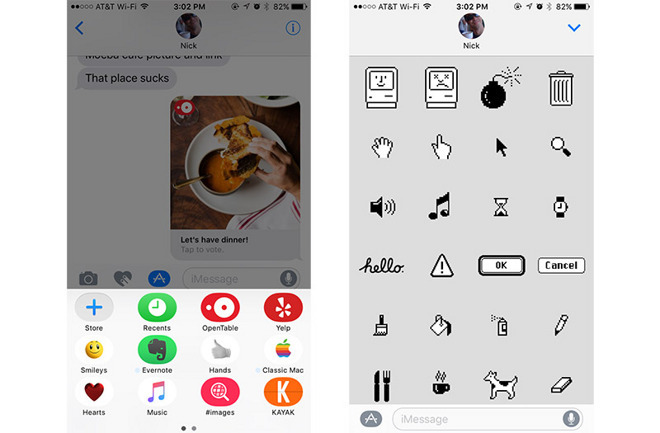 Starting today, Apple device users will be able to operate in a vastly expanded Messages environment thanks to a new API that allows developers to build in third-party app integrations like stickers and app extensibility. "When it comes to expressing yourself, there's so much more you could do if we could tap into all the creativity of all you developers and so we're opening up Messages to developers as well with iMessage apps," said Craig Federighi, Apple's senior vice president of Software Engineering, at Apple's Worldwide Developers Conference keynote in June. 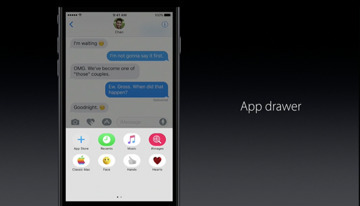 Users will be able to go into an App Drawer to view already-installed apps and drop their available content into messages. 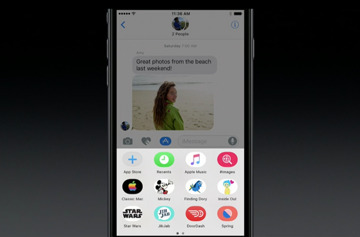 Access to the App Store, where new Messages apps can be downloaded, is also completely integrated, with no need to exit and go to the App Store app. Users will access the drawer by pressing a dedicated app button located to the left of the text entry field in Messages, alongside options for entering photos and Digital Touch drawings. 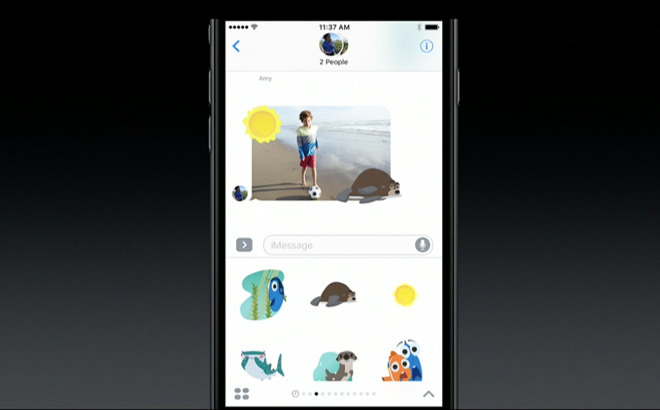 The new framework will allow developers the ability to create of two types of app extensions: Sticker packs and iMessage apps. With the new Sticker packs, developers can easily incorporate the images into their apps by simply dropping the images into the app's Sticker Pack folder inside the Stickers assets catalog. The images can be of three different point sizes (100x100, 136x36, 206x206). 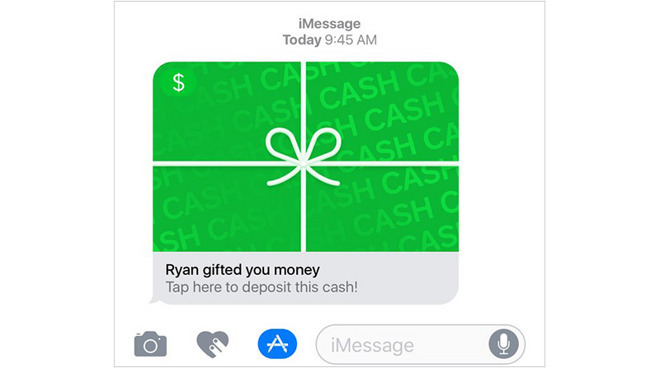 Users will also be able to use much more sophisticated apps like Square Cash and make payments without leaving Messages. iMessage app developers will be able to customize user interfaces, create custom or dynamic sticker browsers, insert text or media files, create interactive messages with app-specific data and update interactive messages like games or collaborative apps. 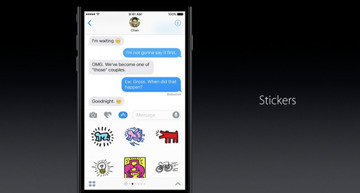 Federighi demonstrated the possibilities: choosing from a wide variety of Stickers and dropping one in with a tap, or even peeling one off and dropping it into a photo or message. 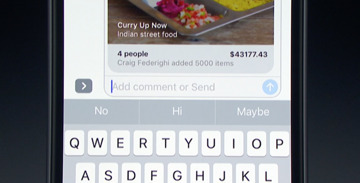 When he received a message with an embedded app - in this instance suggesting a restaurant - he was able to tap in, access the menu, place an order, add it to his cart and then drop it into his message to be shared with friends, all without leaving the Messages app. 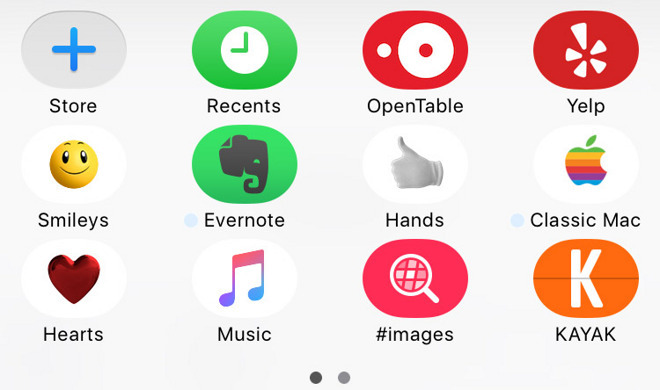 For the user, the new capabilities will allow the Messages app to tap into a wide universe of third-party apps, which currently stands at 2 million options on the App Store. Editor's note: This article was originally published in June following Apple's announcement of iOS 10 at WWDC 2016. 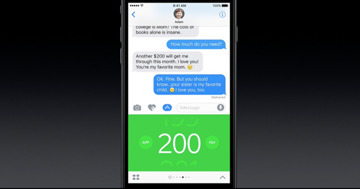 It is being republished to coincide with the mobile operating system's public release.